Our ability to staff commercial and industrial projects quickly and efficiently is vital to our success. Our database contains tens of thousands of skilled workers that have applied with Grus and that we are in regular contact with regarding their current skill set and availability. Additionally, we receive approximately 1,000 new applications and resumes from the country’s best craft workers monthly. This steady flow of new applicants means the best workers are available for your projects and this gives Grus the edge at filling your jobs on time and in-budget. Call us or complete the "Request A Quote" on the Contractors page of our website with your job specifics. We will respond immediately. Our rates are competitive. We take pride in our ability to send craft-workers with the right skills to your project. Rates are determined for each individual jobsite based on the following: hourly wages that the Client is paying; location; number of hours worked per week; duration of the project; number of employees requested; and workman's compensation for that state. We invoice you every week. We have other procedures to accommodate large volume jobs. We also offer a discount for Clients that can support invoicing and payment via email and electronic transfer. Grus has a Safety Program in place for each employee and supports jobsite safety meetings and ‘Toolbox Talks’. 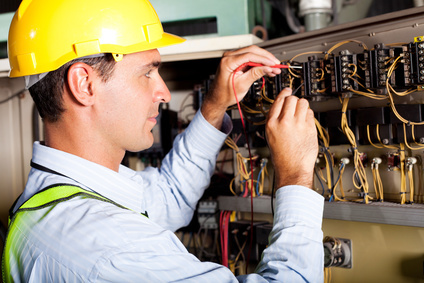 We also conduct jobsite safety audits on a regular basis. We are accustomed to meeting the Client’s requirements on additional background checks, screening and safety training.